Romanian Ambassador in Tirana Mircea Perpelea declared from Korca his country's support for Albania on the EU path. "We are back in Korça thanks to our friend and the Consul of Honor Elvis Toci. It is important that Romania fills 100 years today since it is united has established its independence and has gained its position in Europe. 100 years ago 3 parts of Romania has been joined, Bukovina, Transylvania and Moldova and the last days of November and early December we organize our days of independence. Romania has become a European country, a country that is a friend of all the countries that are part of the EU and I want from this moment to assure Albanian country that we have been and will remain a friend country," Perpelea said. 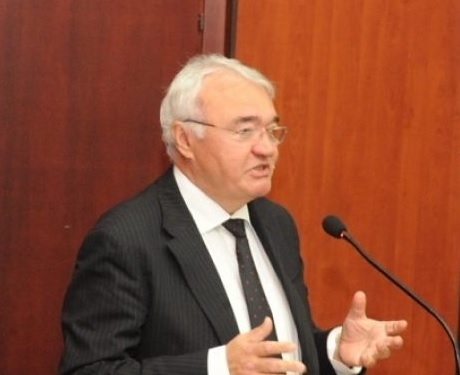 Mircea Perpelea added that Romania's position as EU presidency gives the opportunity to use this to encourage the Albanian people to be close to Romania in the big European family.